Tosa’s All-City Read is like a giant book club for all of Wauwatosa. Our goal is to have everyone in our community read the same book and come together in February for discussions and fun activities. Programs like this promote literacy and help neighbors literally get on the same page, fostering a greater sense of community. We take suggestions of book titles from individuals and book clubs throughout the year. Our Panel of Experts reads a number of the suggested books in late spring and chooses a book we feel the entire community will enjoy. We announce a book title in early summer and start planning fun events and activities for the following February. You read the book in the fall or early winter, either with a book club or on your own. Meet new neighbors or get to know your current neighbors better by participating in All-City Read events and activities throughout February. Winter in Wauwatosa is suddenly a lot more fun! 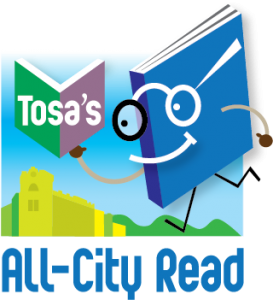 Tosa’s All-City Read is a project of the Wauwatosa Neighborhood Association Council, or NAC. 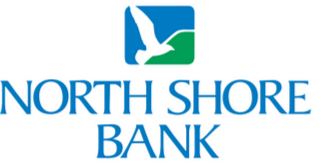 The NAC is a nonprofit organization created in 1994 to support Tosa neighborhood associations in their role of keeping neighbors connected, informed and safe. The NAC and Tosa neighborhood associations contribute greatly to the quality of life in Wauwatosa. For more information, see the NAC website. The Wauwatosa Neighborhood Association Council sincerely appreciates your tax-deductible donation. You contribution helps support events like Tosa’s All-City Read, Windows Into Wauwatosa, blood drives and more, and allows us to continue our outreach services to local neighborhood associations. The Wauwatosa NAC is a registered 501c3 organization and a member of the Wauwatosa Chamber of Commerce.